India Yamaha Motor (IYM) has introduced a combined braking system or Unified Braking System (UBS), as the company calls it, on its entire range of scooters. Apart from UBS, the Yamaha is also offering a maintenance-free battery. 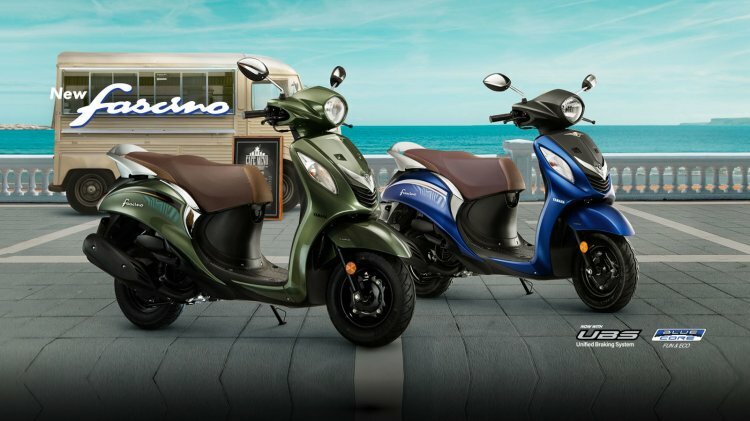 The entire Yamaha scooters range, which includes Fascino, Ray ZR, Ray ZR Street Rally and Alpha, receives Unified Braking System (UBS). Yamaha Fascino UBS pictured. Last month, Yamaha introduced the ABS versions of the Yamaha R15 V3.0, Yamaha FZ25 and the Fazer 25. The company launched the Yamaha FZ V3.0 in India on 21 January, priced from INR 95,000 (ex-showroom Delhi). Within five years of introducing Yamaha's scooters in India, the company has been able to lay the foundations in the market with its uniqueness of mobility products that are also stylish and exciting. The company will further build on this momentum by categorically planning more excitement for scooter customers that revs in Yamaha's unique style and sportiness. The new line up including Fascino will reserve and expand the brand's overall unique character of offering exciting mobility solutions. The introduction of UBS has resulted in a price increase of only INR 600. 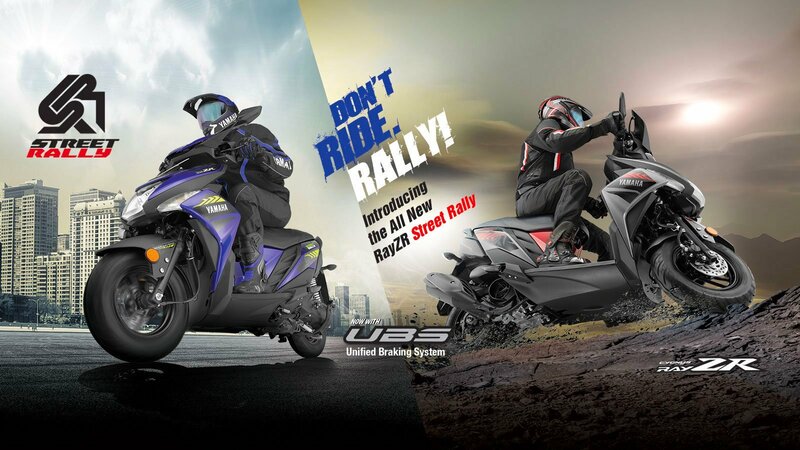 Yamaha Ray ZR Street Rally UBS pictured. All Yamaha scooters are powered by a 113cc single-cylinder engine that produces 7.1 PS of power at 7,500 rpm and 8.1 Nm of peak torque at 5,000 rpm, mated to a V-Belt Automatic transmission. Interestingly, the prices of the UBS models are higher by only up to INR 600 as compared to the non-UBS models.